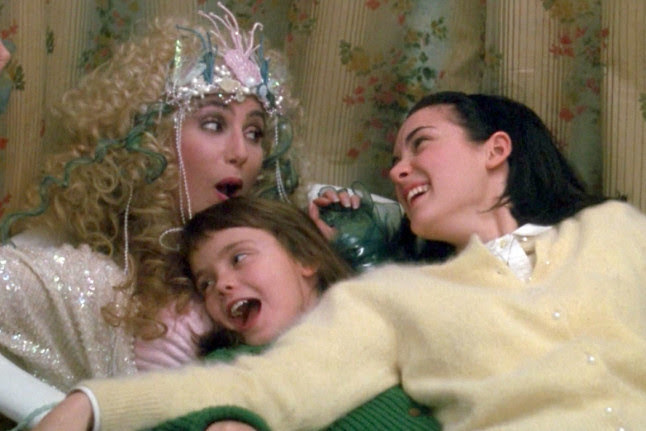 From the firing of filmmakers Lasse Hallstrom and Frank Oz as well as the lawsuit that resulted from actress Emily Lloyd’s dismissal on the second day of the shoot (all after alleged clashes with Cher), in anyone else’s hands the offscreen turmoil surrounding the Oscar winner's 1990 vehicle Mermaids could've easily overwhelmed the drama that unfolded onscreen. Yet when you consider that the 1960s period piece based on Patty Dann’s eponymous novel centers around an impulsively free-spirited single mother of two famous for her packing up and leaving men and homes behind as soon as conflicts arise, perhaps any clashes that might’ve happened on set just further anchored Cher in her role. 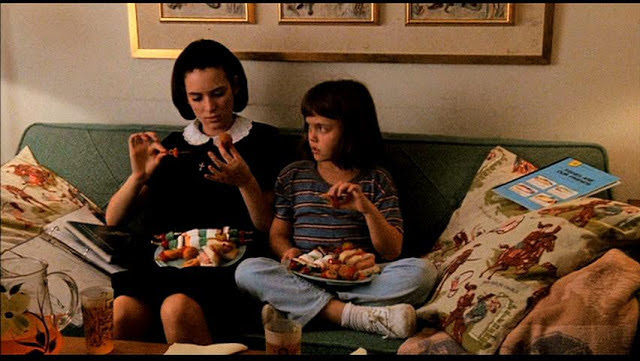 Featuring an equally excellent Winona Ryder in a pivotal turn which garnered the actress her first Golden Globe nomination and helped usher in her transition into more adult roles, in Mermaids Ryder stars as Cher's socially awkward introverted daughter Charlotte who rebels against her mother’s flirtatious and flighty ways with a fierce commitment to Catholicism. A frequent sparring partner to her mother whom she refers to as Mrs. Flax throughout the film, Charlotte is long-past finding her mother’s penchant for everything from affairs with married men to her compulsive need to serve most of her meals appetizer-style on sticks charming. 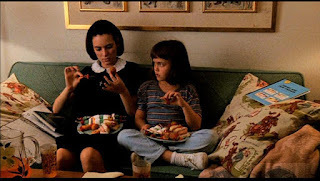 Protective of her younger sister Kate (played by Christina Ricci in her first role), teenage Charlotte –who also serves as the film’s narrator – is soon tempted out of a life of celibacy after she catches sight of Joe (Sixteen Candles star Michael Schoeffling), the handsome caretaker of the women’s newest home on convent property in Massachusetts. Like an orchestra conductor striving to balance all the highs and lows while keeping everyone in the right key, My Favorite Year and Racing With the Moon helmer Richard Benjamin does his best to meld the at times darkly comedic, almost Gothic edge of Dann's book and script by June Roberts with the picture’s lighter moments. Though its second act threatens to spin out of control most likely due to missing scenes involving Charlotte that must’ve been left in either an earlier draft of the script or on the cutting room floor, the film’s performers remain consistently authentic. And this is especially true of brilliant British character actor Bob Hoskins, whose role as a Jewish shoe salesman and amateur painter from the midwest with a heart as big as the sea offers unexpected laugh filled harmony to his scenes with love interest Cher. 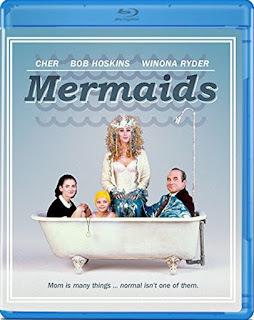 But as great as Hoskins is in Mermaids, Benjamin knows that the film's real love story is between the mother and her daughters and he directs the hell out of the title’s bittersweet third act, before a trendy, tacked on ‘80s kitchen dance party scene tries to meander it into Big Chill territory. Fortunately in spite of that, Cher and Ryder ensure that it swims to the surface. 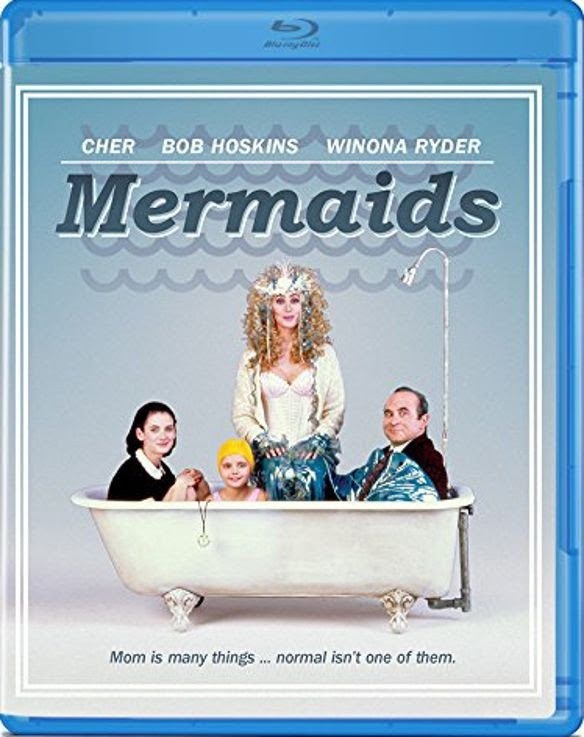 One of many female coming-of-age movies of the era, now that it's been released on Blu-ray by Olive Films in time for Mother’s Day, Mermaids would fit right in as part of an impromptu Girl’s Night Film Festival of underrated titles alongside Man in the Moon, Mystic Pizza, Rich in Love, and Gas Food Lodging, just to name a few.